Bettina Tedesco, Founder of Tia Cosmetics, has launched her cosmetic line and website www.tiacosmetics.com. 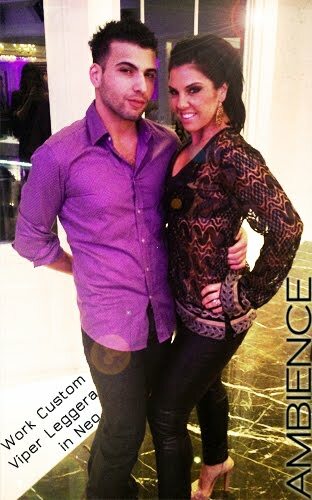 Bettina comes to Ambience to work with Grace and be styled for all of her high-profile, public appearances. Here she is with Jon Kutlu, one of the members of Glam Fairy’s team and looking amazing in our Work Custom Viper Leggera Jean in Neo.